MotoGP: Marquez: "That happens when you’re on the limit"
Repsol Honda rookie Marc Marquez had an eventful race at the legendary Jerez circuit for the third round of the MotoGP season. The 20 year old started the race at the back of the front row in third, only 0.298 seconds off pole man Lorenzo. 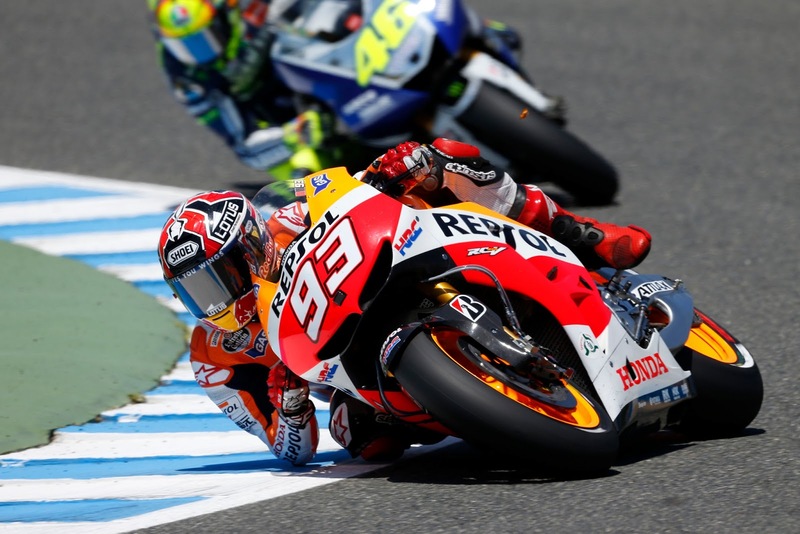 Marquez got a good start and was running in third position behind Lorenzo and Pedrosa. In the opening laps he was involved in a battle with Valentino Rossi for third and once passed Rossi, Marquez stuck with Lorenzo; he left it until the final lap to make a move. Marquez saw an opportunity and took it on the final lap, in the final ‘Lorenzo’ corner. Mirroring the infamous last corner manoeuvre between Rossi and Gibernau in 2005, Marquez went on the inside of Lorenzo and they touched. As a result Lorenzo ran wide and Marquez crossed the line in second position, infront of Lorenzo in third.